For new or replacement installations in wood frames. 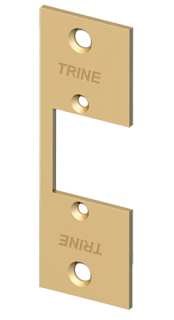 Use with cylindrical locksets with up to 5/8� throw, based on 1/8� door gap. 70% less cutting of the frame.